Eddie Jones will continue to pick any player eligible for England that meets their selection policy despite the row that has developed between the Rugby Football Union and their New Zealand counterparts after Wellington Hurricanes captain Brad Shields was named in the squad that will tour South Africa next month. The 27-year-old was named as expected as one of the back-row options in Jones’ 34-man squad, despite being contracted to both the Super Rugby franchise Hurricanes and the New Zealand Rugby Union until the end of the Southern Hemisphere season. The NZRU issued a firm statement overnight to announce that they will release Shields – who joins Wasps later this year – for England’s tour, but have added that they have not been impressed with how the RFU gone about their business. “Brad has been an exceptional leader inside the Hurricanes environment and a loyal servant to New Zealand Rugby,” said New Zealand Rugby’s Head of Professional Rugby Chris Lendrum. “We have taken some time to carefully work through the complexities of this request, to ensure that we gave appropriate consideration to his specific circumstances. In the end, we are happy with the terms of his temporary release. “We are extremely disappointed that the RFU chose to take this unusual step in seeking this release given that Brad has not yet played rugby in England. That jibe came before Jones announced his squad, in which he said that Shields will fly straight to South Africa ahead of the first Test with the Springboks on 9 June. 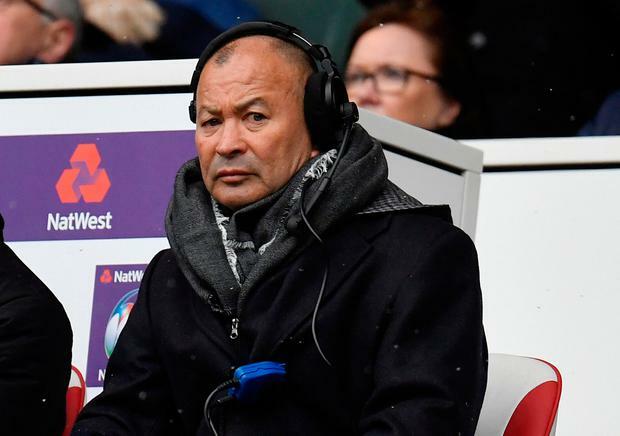 But rather than rise to the bait, Jones batted away their jibes and insisted he is happy by his decisions given that the RFU can call up Shields under Regulation 9 of World Rugby’s laws. But the likelihood of seeing Shields in the white of England on 9 June looks unlikely. Jones is stick with Chris Robshaw at blindside flanker, with Shields set to act as deputy for the former England captain, although Jones’ glowing reference suggests that he will wear the red rose sooner rather than later. “Brad Shields is a good hard working player who plays for the best team in the Southern Hemisphere,” Jones said. “He is a considerable influence in their team, a team that has a lot of skill and talent. He’s a hard working gritty player and a great back-up to Chris Robshaw. Jones named another New Zealand-born player in the form of Gloucester’s Jason Woodward in his training camp squad that will meet in Brighton next week, and although the full-back is not currently slated to tour South Africa, he could yet feature in the annual match with the Barbarians on 28 May to force his way into the side given that there is just one natural full-back in Mike Brown, with the returning Danny Cipriani the most obvious cover in the squad along with Elliot Daly. Another uncapped player named in the training squad is the powerful young wing Joe Cokanasiga, who on Thursday completed his move from relegated London Irish to Bath. Irish meanwhile have already begun preparations for their immediate return to the Championship by announcing the signing of 23-year-old centre Tom Stephenson from Northampton Saints and 29-year-old second-row Barney Maddison from Ealing Trailfinders. Independent.ie Newsdesk Israel Folau has requested a code of conduct hearing after he was issued with a breach notice by Rugby Australia over his homophobic social media posts.